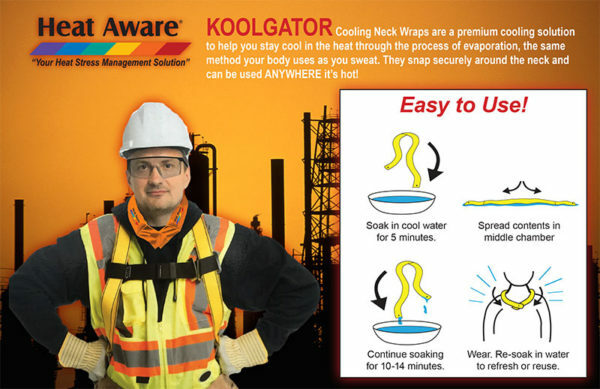 The Koolgator is a customizable cooling neck wrap. 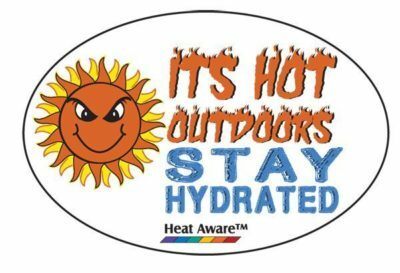 The snap is easy to attach and allows for a clean break away if necessary. 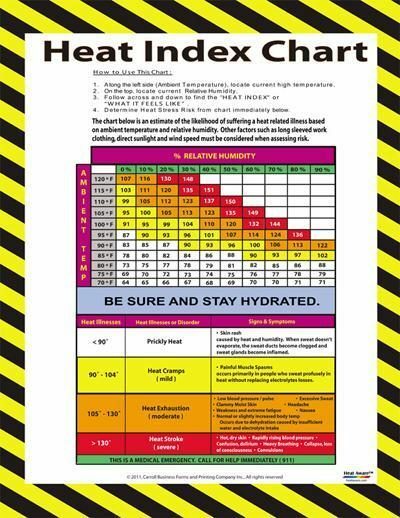 The Koolgator is available as a stock item from Heat Aware™ subject to availability. 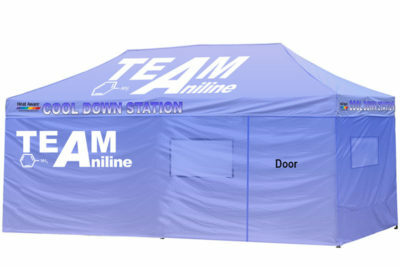 May be customized with your company logo in full color. 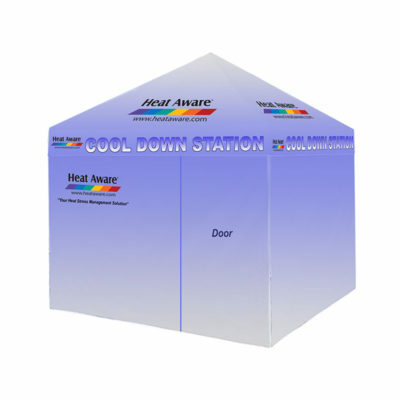 Call Heat Aware at 713-228-9331 for special pricing on orders over 500.